Gregory Mason teamed up with us to explore the most effective way to present his architectural projects. 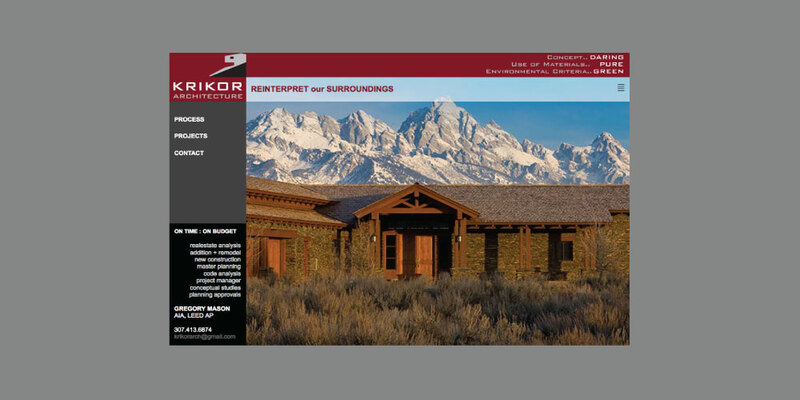 We worked together to come up with a unique website layout that most reflects Krikor Architecture’s style and presentation. We implemented GCMS to this layout allowing Gregory to make changes to content and images corresponding with the different projects that make up the site.